Home advertorial BlupBlup & EspresSoup is buying lunch! 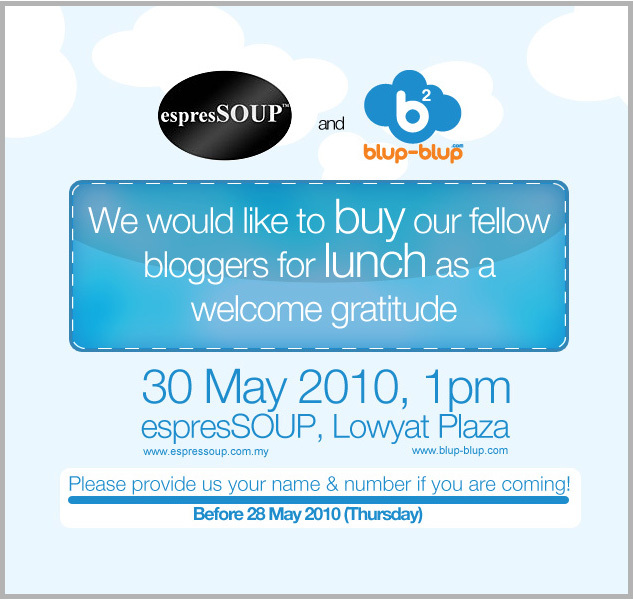 As a token of appreciation, blupblupMY is buying its bloggers lunch! If you are going, I'll see you there! If you haven't got the invitation, quickly sign up now as the seats are pretty limited! 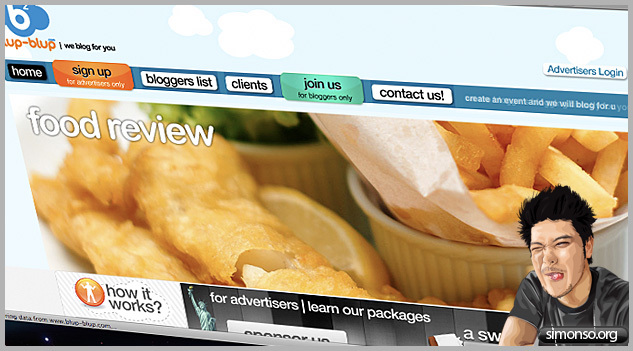 Go www.blup-blup.com/joinus and register yourself this instance!